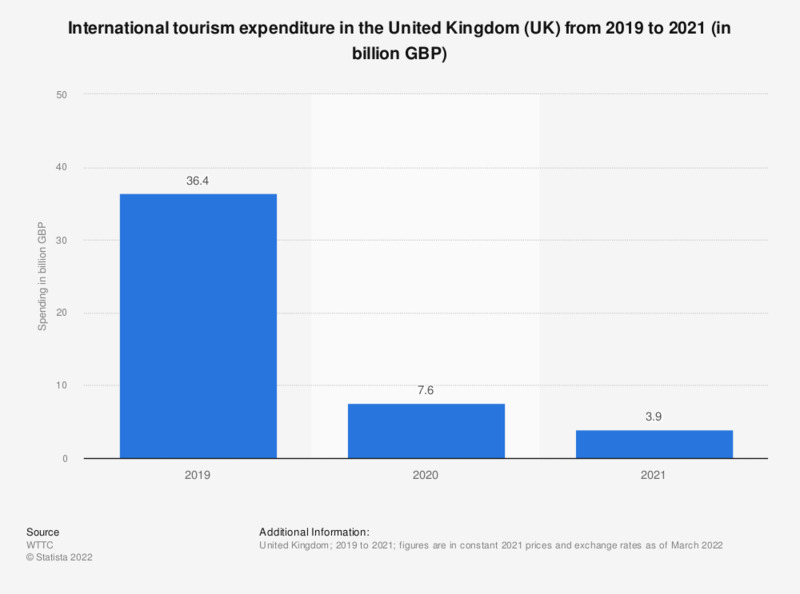 This statistic presents the annual value of visitor exports in the United Kingdom from 2012 to 2018, with a forecast for 2028. Visitor exports (leisure and business travel spending by international tourists) valued 28.6 billion British pounds in 2017. This figure is expected to increase in 2018. The source defines visitor exports as follows: "Spending within the country by international tourists for both business and leisure trips, including spending on transport, but excluding international spending on education. This is consistent with total inbound tourism expenditure in table 1 of the TSA: RMF 2008." Everything On "Tourism economic contribution in the United Kingdom (UK)" in One Document: Edited and Divided into Handy Chapters. Including Detailed References.